It was a bit surprising to find so many names for one item in one Southern African country, but it was a fun survey. I think I should conduct more. Do you have happy memories of sucking on the corner of a frozen bunny lick on a summer afternoon? That wonderful, sweet, plasticky taste (that now in retrospect is quite a disgusting thought)? Did you have a favourite colour and made sure you were first in line to grab the green/red/orange one? If you are anything like me, I’m sure you’d love to share those happy memories with the next generation but you know that all the sugar, colourants, additives, etc, found in such are not good for your children. Also, as one of the participants of my survey posted, they are “a pain in the backside for creating more plastic waste”. If you’ve read my blog before you probably know exactly what I am going to say next. The solution to the above problems is to make your own out of fruit and yoghurt (healthier) and use reusable pouches (a lot less plastic waste). Making a healthy bunny lick is easy. Use your favourite smoothie recipe; or blend a mix of fruit and yoghurt as you have available (sweeten with honey if necessary); pour into a reusable pouch and freeze. As easy as that you have a nutritious snack that will help keep your children hydrated on those hot, summer afternoons. 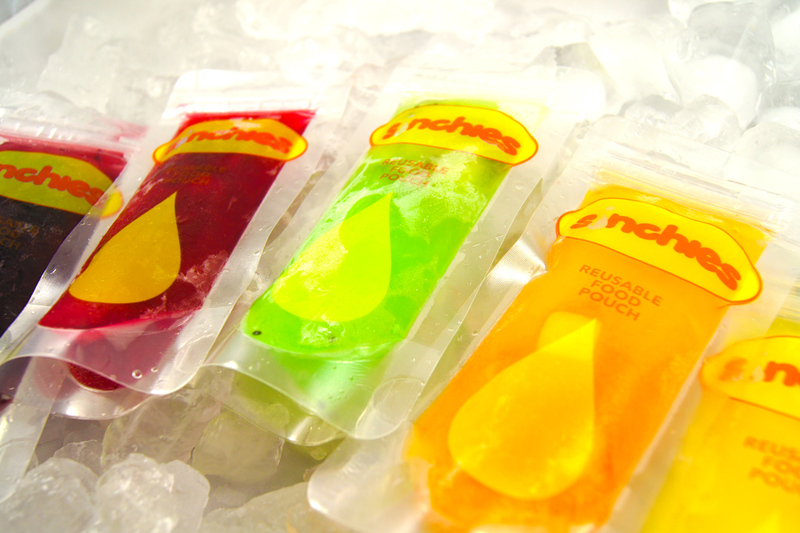 You can get your own set of Sinchies bunny lick / Ice Pop pouches here.